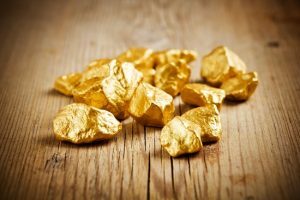 In a recent post we explored how, despite conventional wisdom, the primary driver of gold’s price is supply and demand. Today, we’re seeing how this imbalance is forcing more aggressive mining operations. As investors continue to buy more gold, sending prices higher, mining companies are seeking more ways to source the precious metal. They’re digging deeper. Is some cases they’re digging into the ocean floor. In an effort to boost resources Beijing is leveraging their state-owned shipyards and vessels to explore gold deposits beneath the ocean floor. This novel approach is possible due to recent innovations in mining. By widening the radius of their exploratory efforts, the country hopes to become a dominant gold metal supplier. Meanwhile, in the U.S. equally intense efforts are underway to expand gold mining. Recently, Newcastle Gold Ltd has made a brazen move to widen their footprint. Originally, the operation was set to pull 10 million tons of ore from an area of land covering 8,300 acres. However, today, they’re pushing to expand this sizable effort with a bold request for expansion from the U.S. government. This development represents just one more link in a chain of miners seeking ways to satiate surging demand. The Guardian recently reported that Romania’s prime minister has made moves to help miners in the area access “an estimated 314 tons of gold as well as 1,500 tons of silver,” which represents Europe’s largest known gold deposit. Mining company Gabriel Resources earned an exploration license in the late 1990s and continues to pursue opportunities in the region. The resolve of miners across the globe to travel further, dig deeper and explore underscore just how healthy demand remains amid waning supply. In fact, appetites have risen so far that some countries, like France have had to take measures to squelch illegal mining. The country has dispatched armed forces in French Guiana where illegal operations have been in place for decades. In aggregate, these measures have yielded increasing production in recent years. However, in time these resources will become scant and the infrastructure necessary to find them will become more intense. Gold investors stand to gain in such a climate.